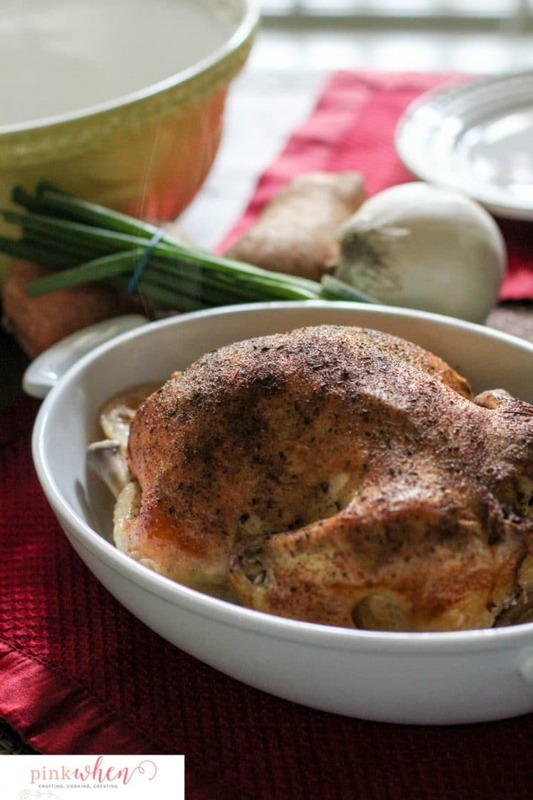 Have you ever made a whole chicken in the oven? 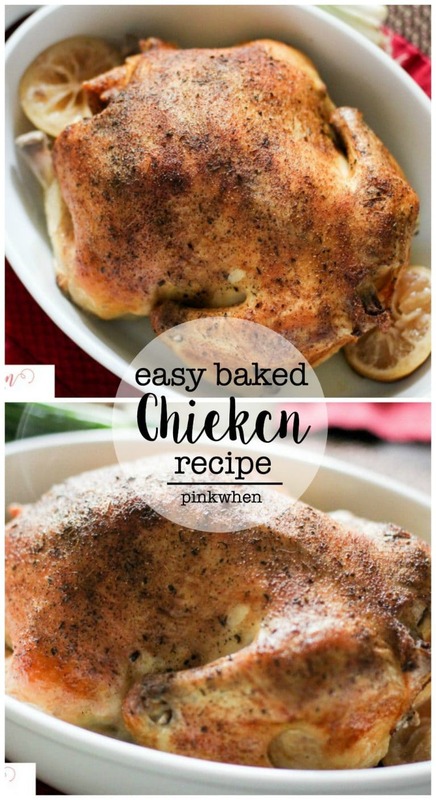 One of my favorite recipes to make is this easy baked chicken recipe. It takes just a little bit of preparation and love, and then you will have one of the most amazing dishes to serve. 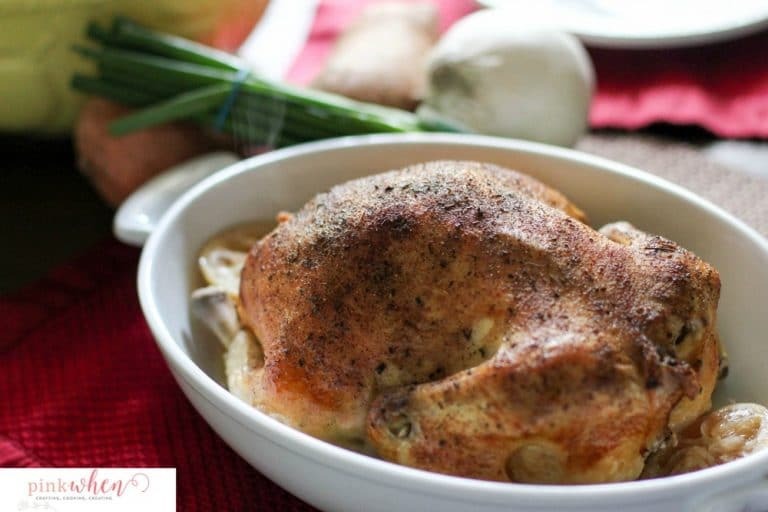 This chicken recipe is whole 30 and paleo compliant, so if you are looking for an additional recipe to add to your diet menu, this is a good one to have. 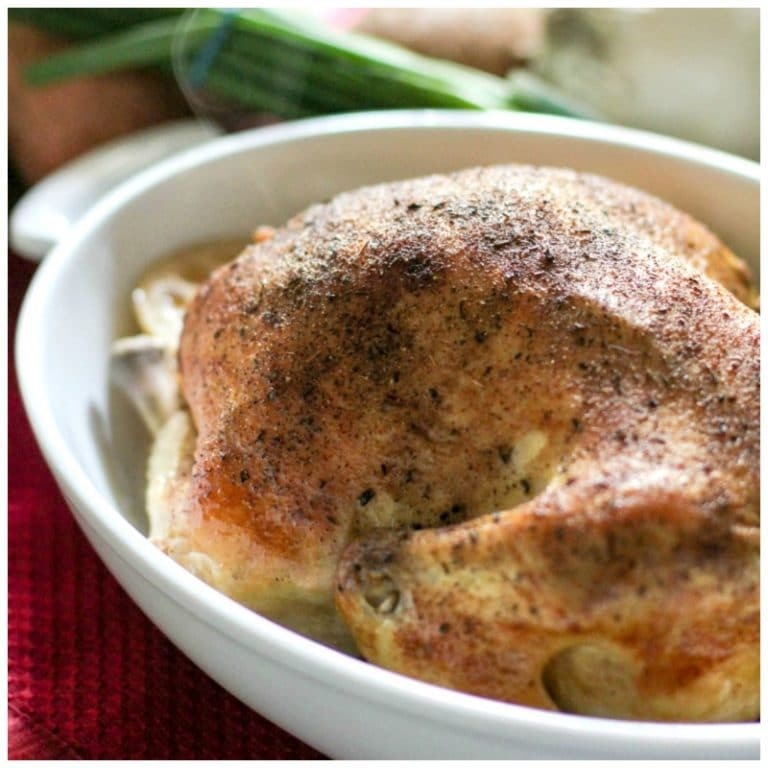 Are you ready to see how to make this amazing easy baked chicken? I’m not much on frying foods or eating too much red meat. In fact, if you search this site for chicken, you will see a ton of posts populate. Some are my favorites are these chicken avocado burgers, this seasoned grilled chicken, and a delicious chicken enchilada casserole. Needless to say, I have a love for chicken. 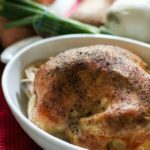 Now I have had this chicken recipe for a long time, and it really is one of my favorite recipes. There is a little prep you have to do, and it takes a while to cook so you need to make sure you are organized before deciding on baking this bird for dinner. But when you do, you will be AMAZED at just how moist and juicy this chicken will be. There is a step you can add if you want to make things a little juicier, and that’s brining the bird a few hours or even the night before you bake it. If you are going to do the brine, I recommend a simple brine that will add to the flavor of your chicken. My husband’s favorite brine is 2 cut oranges, 2 cut lemons, 1 gallon of water, and a large sealable bag. Add all of these ingredients to the bag and add then carefully add the chicken. Place the bag into your refrigerator for a few hours, or even overnight. 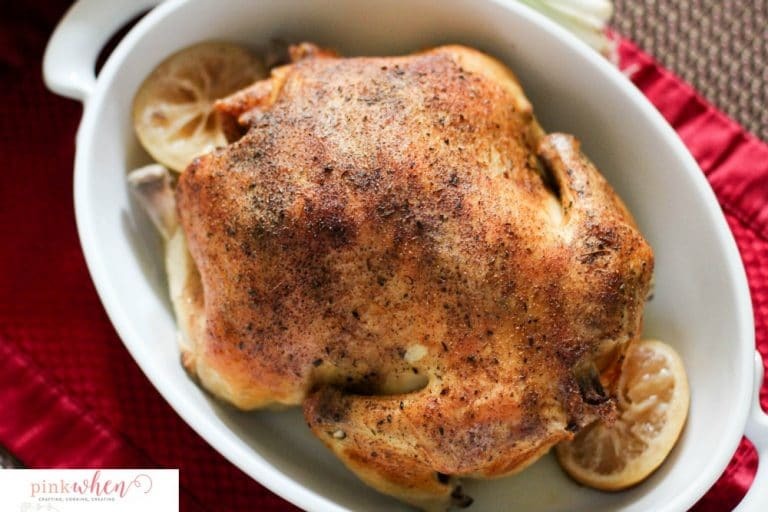 This is such an amazing thing to do to have a juicy chicken, but if you don’t have the time or the patience for brining, you will still have an amazing easy baked chicken. Once the chicken has soaked, it is now time to bake. Remove the chicken from the brining bag (if you decided to brine it), and pat it dry. If you haven’t already, make sure to remove the giblets. Make sure the bird has been patted dry, and try and dry the inside as best as you can. Add the quartered onion and the sliced lemons and place these inside of the cavity. Place the chicken into a 9 x 13 baking dish. Take a thermometer and check that the inside temperature is 165. If not, cook for an additional 20 minutes and check again. 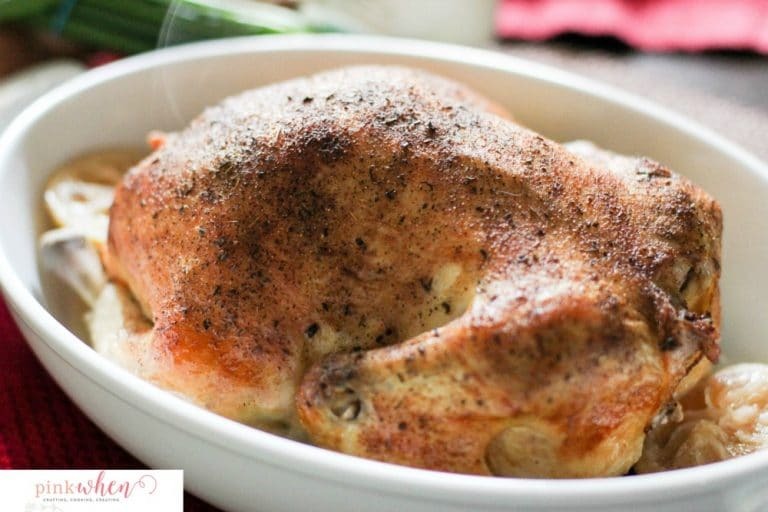 This moist and juicy Whole 30 and Paleo compliant easy baked chicken recipe is one of my favorites! It's full of flavor. Add the quartered onion and the sliced lemons inside of the cavity. Take the paprika, rosemary, salt, and pepper and season the bird all over. Cover the bottom of the dish with chicken broth and place into the oven for 2 1/2 hours. (Place foil over the top of the bird if it is browning too much.) Take a thermometer and check that the inside temperature is 165. If not, cook for an additional 20 minutes and check again. Make sure you add this amazing recipe to your next shopping list. 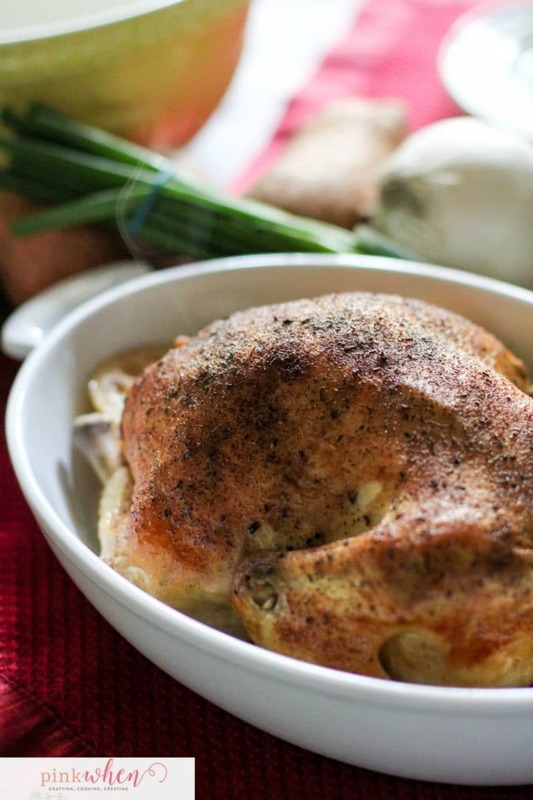 You will love it, and you won’t want to bake a chicken any other way! Doesn’t it just look so pretty? What are your favorite ways to bake chicken? Do you brine your chicken ahead of time? Share your favorite seasoning and ways you like to take your easy baked chicken recipes to the next level. This looks so yummy and even though there is some prep work involved, it looks pretty easy to make! 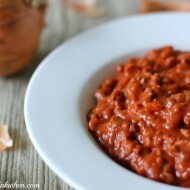 I’ve been on the look out for new recipes to try, so this one will be added to the menu! Stopping by from the Motivational Monday party! I love home-baked chicken. 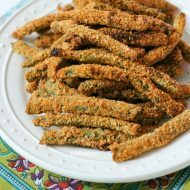 This looks like a delicious and easy recipe! Thanks for sharing at Merry Monday. 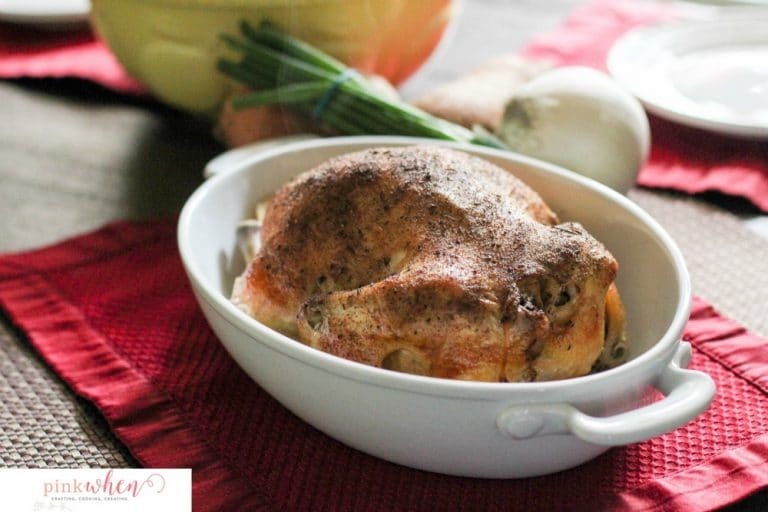 I need to make this, roasted chicken is one of the most comforting dinners to enjoy in the Winter 🙂 I just discovered your lovely blog via the Home Work link up! What a beautiful roasted chicken! 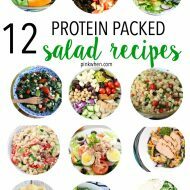 I need to get into the habit of making these on a weekly basis – for dinner and then to have extras throughout the week for sandwiches, salads and other recipes. Thanks for the inspiration! I pinned this so I can make it later this week after I go grocery shopping.